We live in a world of online everything. We also live in a paperless world and one in which efficiency and access is essential to everything from operations to overall success. This is why document and book scanning are such important services, and nowhere does this become more obvious than when it is oversized books. From old map books and archival records to modern yearbooks and encyclopedias, the ability to use premium oversized books scanning services is incredibly beneficial. Not only are these key benefits some of the reasons to consider having oversized books scanned, but there are also many more. For example, eRecordsUSA offers complete service that includes picking up the materials, doing the scans and making conversions, and then returning or destroying materials per your needs. They can incorporate cloud storage of your files to ensure you never lose them, and they can handle books of any size, fragility or specifications. With traditional and oversized books scanning services from eRecordsUSA, your school, library, government office, business or private location can protect valuable or historically significant books, limiting exposure to everything from acids to damage from fire or flood. They can also eliminate your need to store oversized, bound volumes when all you require is access via a computer or e-reader. Whether it is map books and bound volumes of old periodicals or art prints and posters, there are scanning options for all of your oversized books. eRecordsUSA is specialized in providing professional Book Scanning Services, Bound Book Scanning, Book Digitizing Services, Historical Books Scanning Service, Book Archiving Service, Book Archival Service and more. 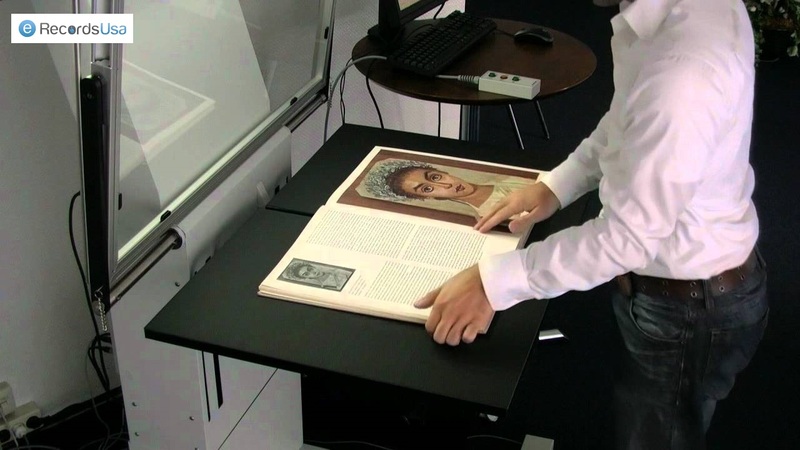 Would you like to receive a free quote for Oversized Books Scanning Service? Call +1.855.722.6669 or eMail us at info@eRecordsUSA.com.